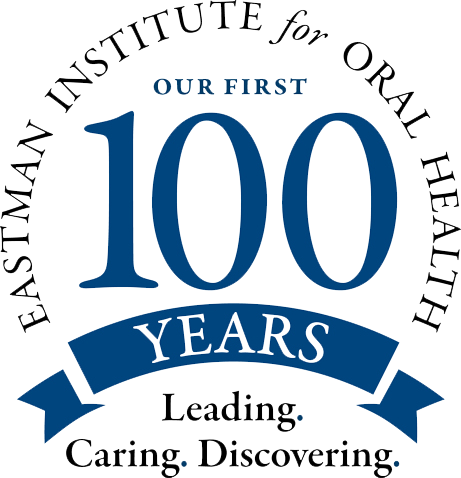 Closing the gap for patients with special needs and complex medical conditions continues to be a major focus for Eastman Institute for Oral Health (EIOH), part of the University of Rochester Medical Center in Rochester, NY. Marking its 100th year of community service, clinical care, education and research, EIOH recently rolled out several initiatives to provide care to people who have had longstanding challenges accessing care, while at the same time training the next generation of specialists in this important area. In March, the University opened its Complex Care Center, a primary care and dental practice devoted to patients with chronic childhood-onset conditions such as cystic fibrosis, sickle cell anemia, childhood cancers, autism and intellectual and developmental disabilities. Such a practice is new in Rochester, and only a few similar centers exist across the nation. Demand for this type of care is rising as the patient population grows and has a longer lifespan than previous generations. For the many patients who can’t get to dentist offices, EIOH acquired a custom-designed SMILEmobile that provides access to people with special needs, including older adults who live in nursing homes, group homes and other special needs settings. The new unit is a self-contained, drivable, wheelchair-accessible dental clinic, unlike EIOH’s three other SMILEmobiles, which are trailers transported to city schools to provide treatment to children. The new unit, which features a wheelchair lift, wider doors and air glide chairs that allow easy maneuverability, provides special services for adults in addition to cleanings, radiographs, fillings, sealants, extractions and oral health education. The Complex Care Center and the new SMILEmobile are also sites for training 100 pediatric and general dentists, hygienists and dental assistants in treating patients with special and complex needs, as part of a $3.5 million U.S. Department of Health and Human Services (HHS) grant awarded last year. “At the end of this five-year grant, the providers will have the knowledge and skill set to significantly increase access to care for this patient population,” says Eli Eliav, D.M.D., Ph.D., Director of EIOH. “As these [dental professionals] begin to treat patients in their home states and countries, they will begin to increase awareness and training among other providers in their private practices, steadily reducing barriers and increasing access to care." EIOH was recently awarded an additional five-year, $1.2 million grant from HHS to attract, recruit, develop and retain dental faculty, whose dental academic careers intersect with and are essential to integrated primary care. But the time needed to devote to mentoring is usually taken by competing clinical, research and administrative priorities. To address this, EIOH has developed a comprehensive mentoring program and is integrating it with faculty development and the loan repayment program for its general, pediatric and community dentistry faculty.